With breakthrough professional books such as "Ending Nurse-to-Nurse Hostility" and "Charting the Course" (co-written with John Nance), Kathleen Bartholomew, RN, MN, has been called one of the most important voices in Nursing. Her dynamic speeches, radio and television appearances, and news media editorial contributions, inspire and encourage everyone to understand the power of culture. 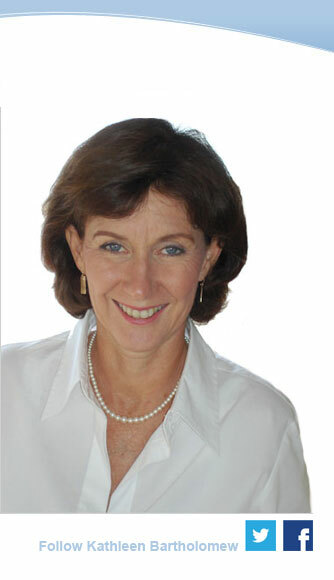 From the bedside to the boardroom she challenges health care leaders to protect patients with research based presentations woven with narratives that resonate strongly with her audiences. 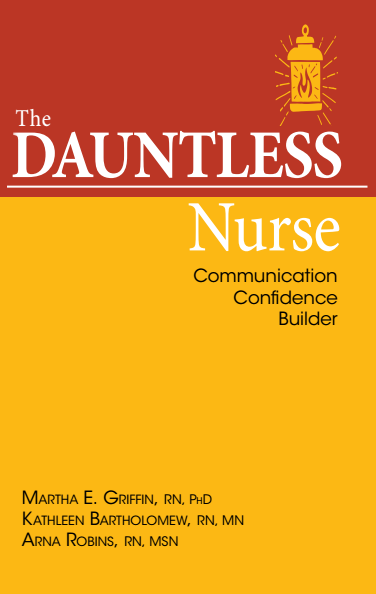 The tools and tips in The Dauntless Nurse: Communication Confidence Builder will give you the knowledge and skills you need to confidently address experiences and behaviors that leave you feeling undermined or uncertain. Understanding why these behaviors occur diminishes their effect. Knowing how to respond hardwires your muscle memory. And reading scenarios of how other nurses have effectively handled similar situations will build the confidence that is characteristic of a Dauntless Nurse-you! Available on Amazon or contact me for bulk orders.